It’s been a minute since we took a look at home prices and trends in the LGD. A snapshot of the statistics shows us a few stand out things to know. In May 2017, the average sold price was $507,946. As of 5/24/18, the average sold price currently stands at $410,889. That’s a significant change in sales prices, but we know that the market is varied with both luxury sales and more affordable properties. Those differences make for a fluctuating series of prices that can be hard to interpret. We’re seeing a definite trend in longer days on market. That’s probably tied to the fact that asking prices have increased by over $15,000 on average since last year. As of the end of April 2018, it’s taking about 81 days to sell a Lower Garden District home. With over 70 homes and condos for sale right now, and an average of 8 to 9 units selling each month, it has moved to a buyers market in the neighborhood. That can quickly shift, but for now there are more homes for sale than there are buyers. 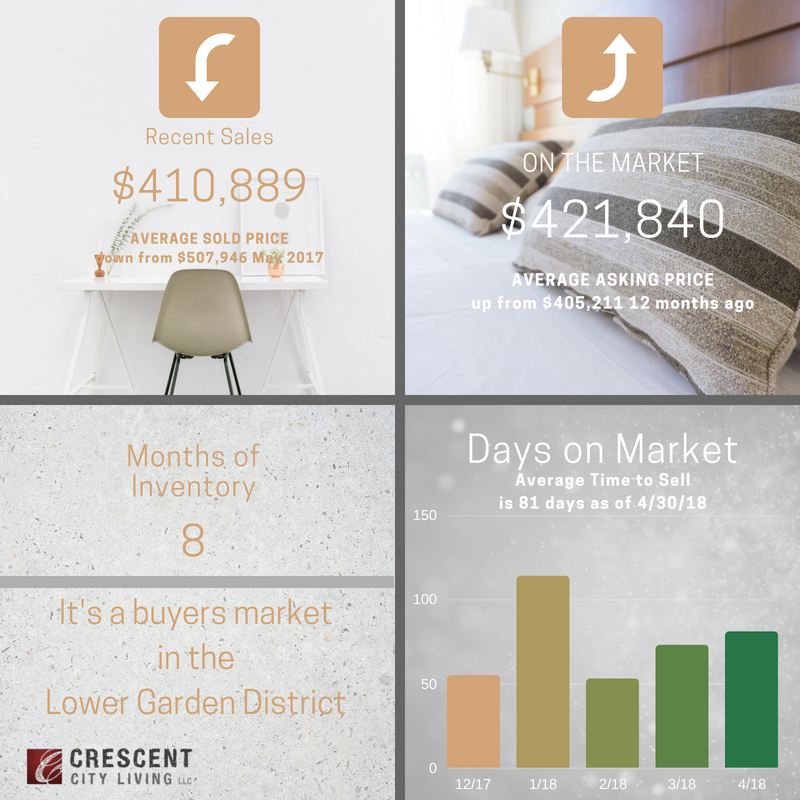 Can we help you buy or sell your Lower Garden District home?